Registration Opens Oct. 1, 2018! This is your chance to take part in one of the strongest power leagues in the United States. The league consists of four play dates in various locations for age divisions 12 & up. The league is a Ladder League allowing teams to move up or down each date to play similar level competition. The Mideast Power League provides opportunity for any team at any level to reach their highest potential. Find your age group and check your schedule! Featuring some of the best facilities in the Midwest! MEPL prides itself on the competitiveness and overall level of play that we bring to each facility during each of our four dates. The incredible talent is exhibited by the number of top 10 finishes that our teams have year in and year out. What Do Our Clubs Say? We made the Mideast Power League to provide area clubs with a place to come and play in a series of tournament against like-minded clubs looking for the most competitive and toughest teams to play. The results we’ve seen speak for themselves. We love this series and we love being one of the host clubs. Seeing the level of play every weekend no matter the location just can’t be overstated. You need to play in this series. 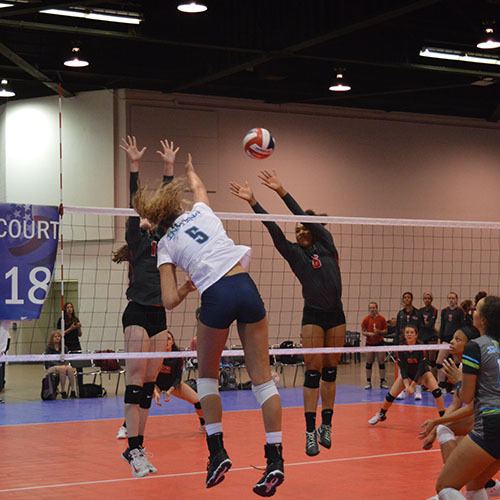 Our geographic area produces some of the best teams and clubs in the country every year. Why wouldn’t we want to play that top competition? MEPL continues to deliver and our nationals results just show how competitive this league really is. 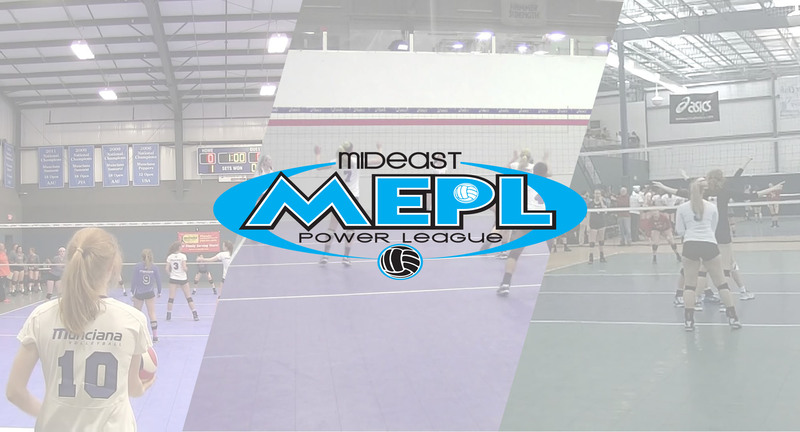 The Mideast Power League (MEPL) series consists of 4 weekend play dates. The top finisher of each age division receiving free entry into the AAU National Championships. There is a 5 match guarantee. Each division (18/17, 16/15, 14/13 & 12) will play at each location. Locations include Indianapolis, IN; Lexington, KY; Louisville, KY; Knoxville, TN; Muncie, IN and Cincinnati, OH!. All age divisions except 12s will have 4 weekend dates. 12s will play 3 weekend dates.